Hello, my name is Tom Zielinski. I live in West Seneca, a suburb of Buffalo, New York. I live there with my wife Jennifer and our 2 Border Collies, Rascal and Gracie. Frequently our three children Kimberly, Lauren, and James visit us. My son-in-law, Brian, and daughter-in-law, Charlene visit as well. Sometimes they tend to the aquariums when we travel. Our grandsons Ryan, who is 14, and Ayden, who is 2, enjoy them too. I retired about nine years ago from a long and rewarding career in public administration. Most of which was in the service of developmentally disabled folks. Since then the reef keeping hobby has filled many hours pleasantly and productively. 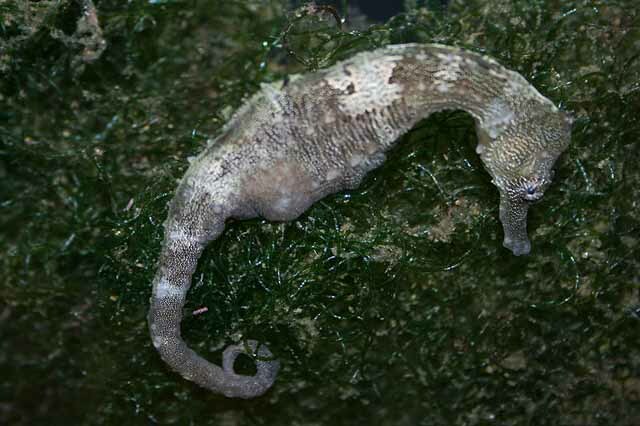 I have kept a variety of aquatic animals for over 50 years. After graduating from goldfish and turtle bowls at 10 years of age, my first tropical freshwater tank was a 5-gallon metal and glass aquarium for guppies and catfish. I grew up in Queens, New York, which afforded me a number of opportunities for going to the shoreline to fish, catch minnows, and/or other critters. Also, within a short distance were Block Island, located in Rhode Island, and the lakes and ponds on Long Island and Catskill Mountains in New York. There was a 3-acre pond, which we kids called a lake in Kissena Park. When I was younger I would ride my bike to dig worms and fish for hours. I would catch sunfish, perch, and an occasional carp that I would bring home alive. I would keep them in a small swimming pool outback before returning them to the 'lake'. I later converted this pool into a pond. Occasionally I found myself interested in the microbe world and would look at the water through a microscope with amazement. As I got older my life became busy with work, education, military, and a career. In addition, was my marriage to my wonderful wife of 42 years and our three children. Still, I managed to find time to keep a small freshwater aquarium along the way. Work required multiple moves across the state of New York, which gave me access to fishing on Lake Erie, Lake Ontario, and the Niagara River. Twenty-five years ago we were fortunate enough to get a beach home on North Carolina's Outer Banks. Vacationing there let me satisfy my love for the ocean. 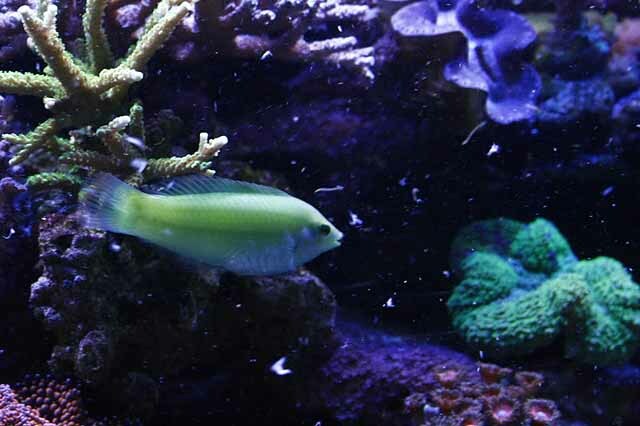 When I retired nine years ago, I needed a challenge and my twenty-year old son, a college student at the time, wanted to convert the 55-gallon freshwater cichlid tank into a saltwater aquarium. I was not keen on the idea since I figured the expense and work would fall on me. My son's friend Eric, a student in marine biology, one day stopped by and gave me a book on marine aquariums. He challenged me to read it and half-jokingly said he would give me a test on it in a week. As I read it I was struck by the beauty and complexity of the hobby. I thought this hobby would be a challenge for me because the hard sciences were neglected in my education and career. This was a way to grow and gain new perspectives on the way the world works while engaging in a longstanding passion. 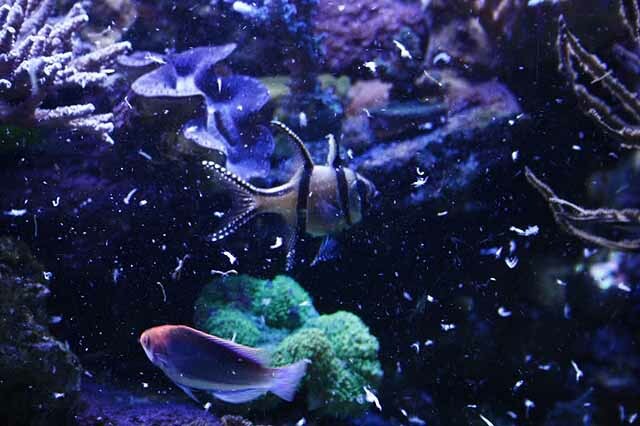 Eventually a 90-gallon tank with sand and a few chunks of live rock with fascinating creatures on it called Aiptasia found its way into my dining room despite my original protests. There was a large hang-on-the-back filter and a few ‘cycling fish’. At the time, I did not know better so after eight years I still have some of those cycling fish. A canister filter and small hang-on-the-back skimmer followed. Then my son moved out to live with his fiancée, now my lovely daughter-in-law, leaving my wife and I with an empty nest and an aquarium. I had two choices and in the end I decided to jump into reef keeping. I read everything I could and became a productive loiterer at one of the marine specialty shops here in Buffalo. I found the local club, The Upstate Reef Society, and then Reef Central. The information available online is outstanding, vast, and it took several years for me to begin to understand it. The articles by Randy H. Farley are particularly noteworthy. 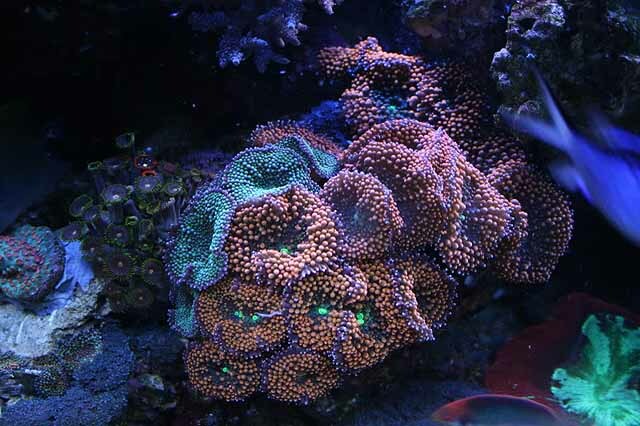 Randy H. Farley is a regular poster in the Reef Central Chemistry forum and a contributing author to Reefkeeping magazine. 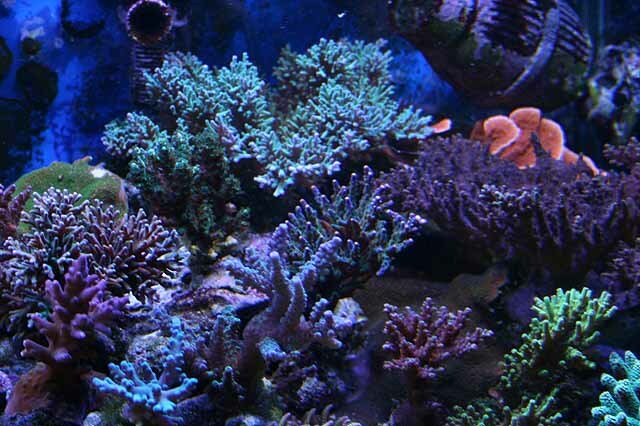 As in many cases, the addition of corals followed. 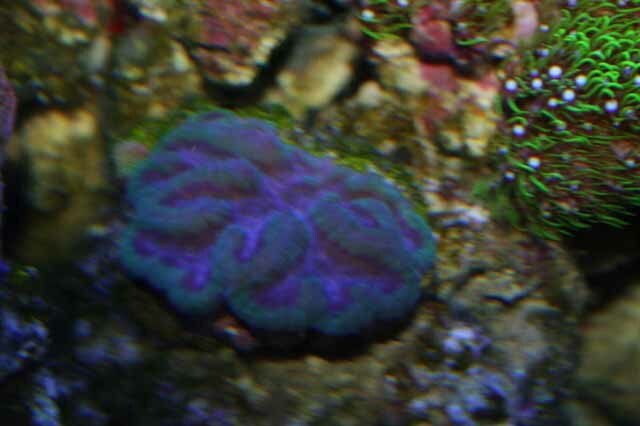 My first coral was a stalk of Xenia that my son gave me about 7 years ago which is still alive and well. 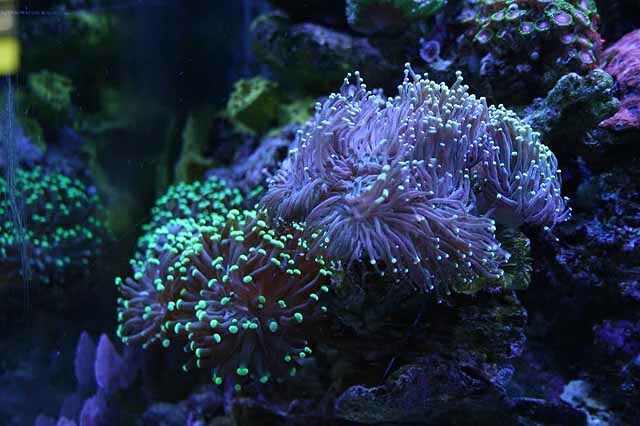 My system has grown over the last seven years into a mixed reef and incorporates a number of methods in my integrated system. 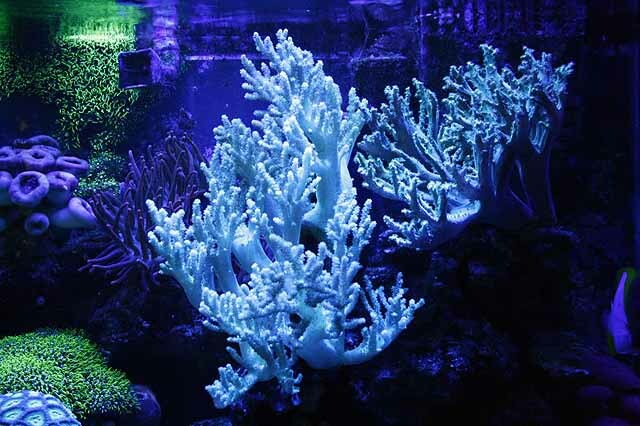 The whole system includes three display aquariums that are 89-gallon, 90-gallon, 120-gallon, and three frag/grow out tanks. 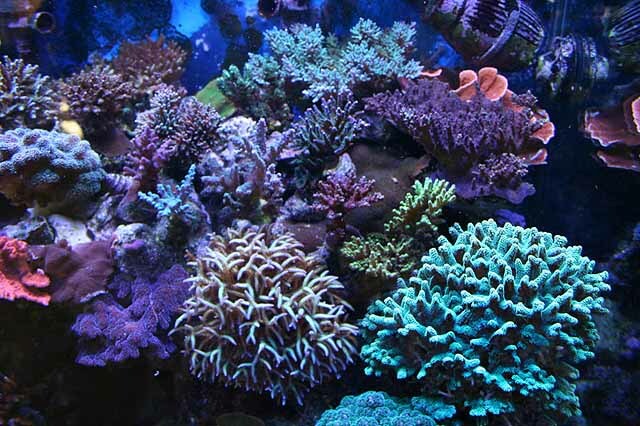 It's a mixed reef system that has been running for eight years. All together the display aquariums consume eleven feet of the dining room wall while the remaining grow out tanks are located in the basement. The system water volume totals about 730 US gallons of water capacity with and estimated overall water volume of about 600 US gallons. 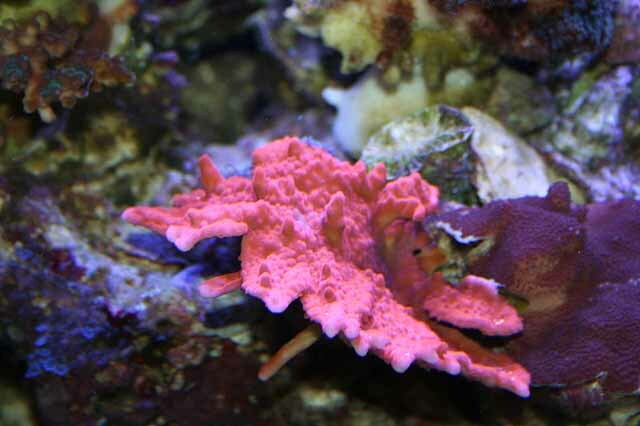 The frag /grow out tanks include an array of Zoanthid species and a seahorse tank which houses a pair of Hippocampus erectus seahorses that I raised from fry. 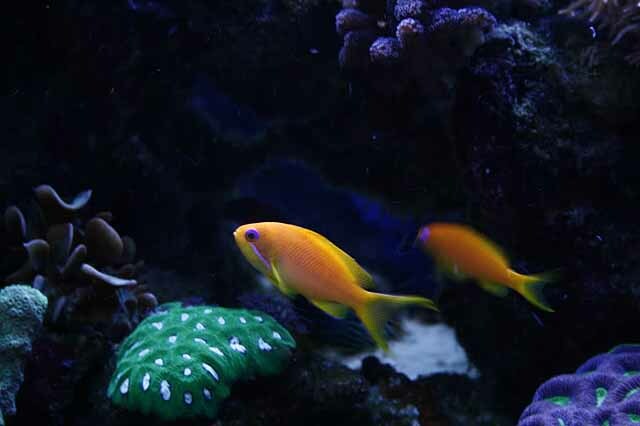 Some components have been running for over five years, many of the fish have been kept for 5-8 years, and most of the corals have been grown from small frags. 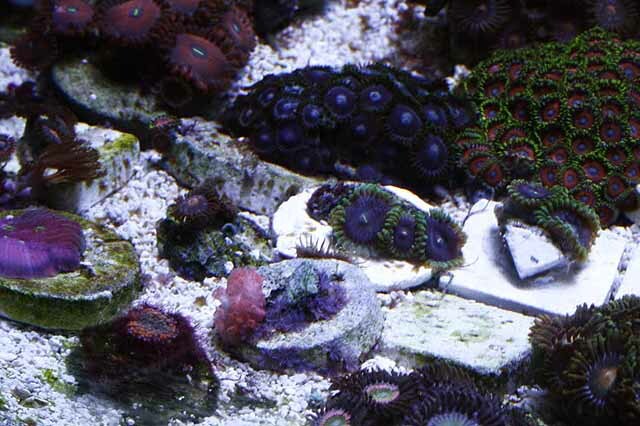 Tank inhabitants range from non-photosynthetic animals such as Dendrophyllia, Stylasterina, and sponges to light thriving corals such as Zoanthids, Gorgonians, and large and small polyp stony corals. 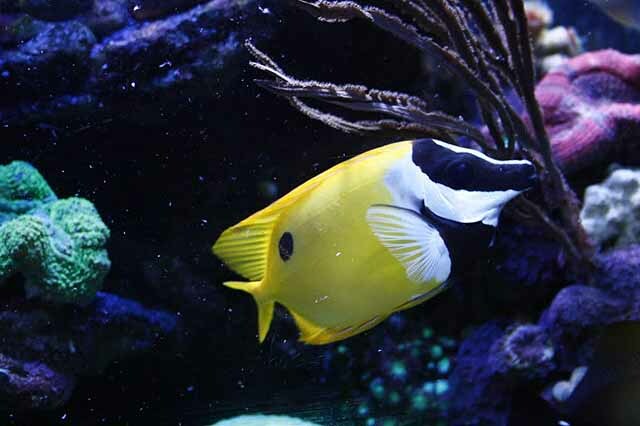 The system is heavily fed, and houses 40 fish, yet maintains low nutrients. 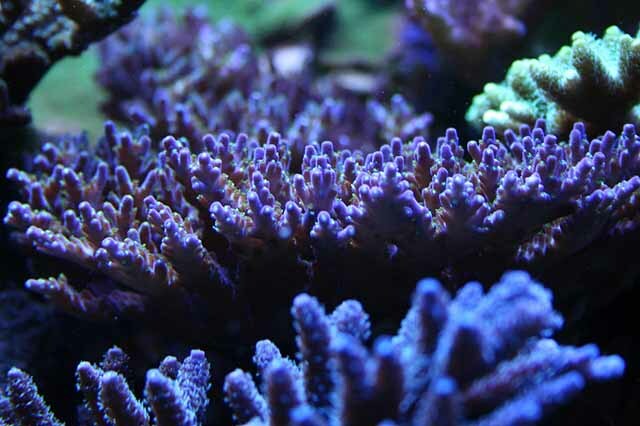 There are several approaches to maintaining low nutrients while maintaining a biological balance in a reef system. Using approaches such as sand beds, macro-algae, cryptic zones, organic carbon dosing, and granular ferric oxide (GFO) allows me to utilize these methods in moderation, while maximizing the benefit from each approach. 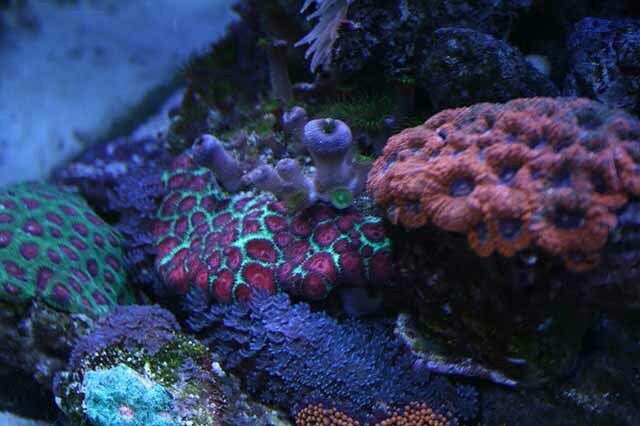 Despite heavy stony coral growth the aquariums rely only on top-off kalkwasser, calcium hydroxide for alkalinity and calcium, and new salt via frequent water changes. I have also dosed the tank moderately with vodka and vinegar for almost three consecutive years with good results. Over the years the system grew and some equipment was changed. Most notably I abandoned the use of a calcium reactor. It was hard to keep alkalinity constant with its use and I found that it depressed the pH more than I wanted. As I noted in the dosing section, I now use a calcium hydroxide reservoir and LiterMeter III pump almost exclusively for calcium and alkalinity supplementation. I built a do-it-yourself (DIY) sulfur reactor to reduce nitrates several years ago before starting organic carbon dosing. It worked well and reduced nitrate levels from 80ppm to 0ppm in about five weeks. Once the nitrates were lowered the reactor became difficult to manage and consequently hydrogen sulfide was frequently produced. The current equipment in use includes two ASM skimmers. 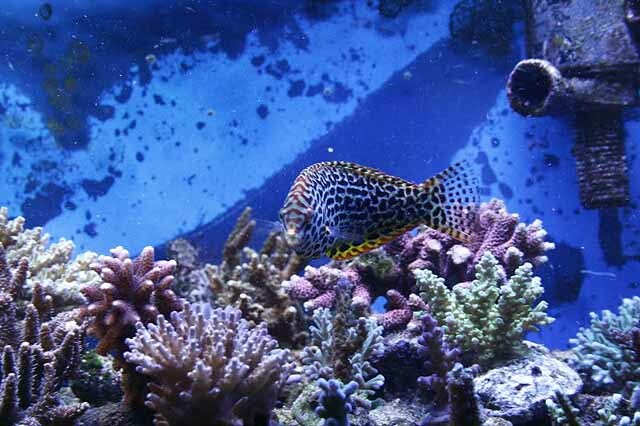 I have used predominantly Hamilton metal halide bulbs with VHO type bulbs for supplementation during most of the time my aquariums have been running. RO/DI: 75gpd membrane with two carbon block pre-filters; 1x one-micron sediment pre-filter; two DI resin post membrane filters. Two skimmers run the system. The ASM G-4X and ASM G-4XX offer approximately 2400gph pass through, or about 4 to 1 vis-à-vis water volume. Granulated activated carbon is used 24/7 at a rate of approximately 1/3 cup of Bulk Reef Supply ROX 0.8 carbon per 50 gallons of water volume. The carbon is used in a carbon reactor and a canister filter to insure active flow through it, and I change it out every 4 weeks. Purigen and GFO are used in reactors as well. 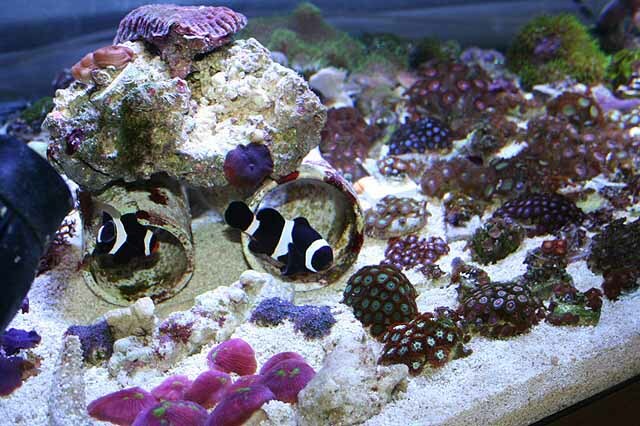 Some of the aquariums have sand beds while others are bare bottom. 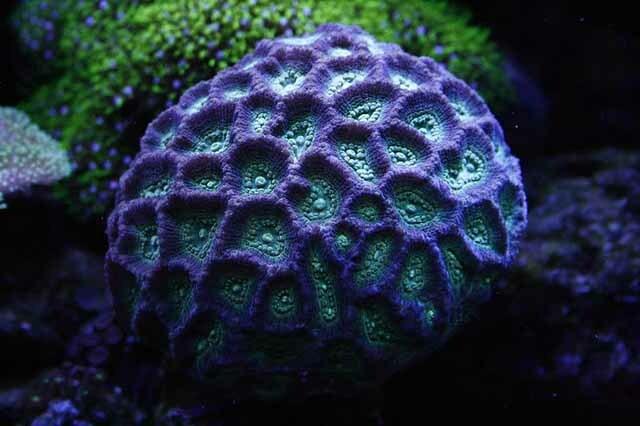 All of them have some live rock and several cryptic areas carry an additional 200lbs or so of rock with lots of sponge growth. There is a remote 7-inch deep sand bed packed with live rock to assist advective flow. There are no mechanical filters in use, including filter socks. I prefer an open water flow to keep the food web in the water column. I dose vodka and vinegar. Currently I am adding 26mL of 40 percent vodka and 80mL of vinegar daily. 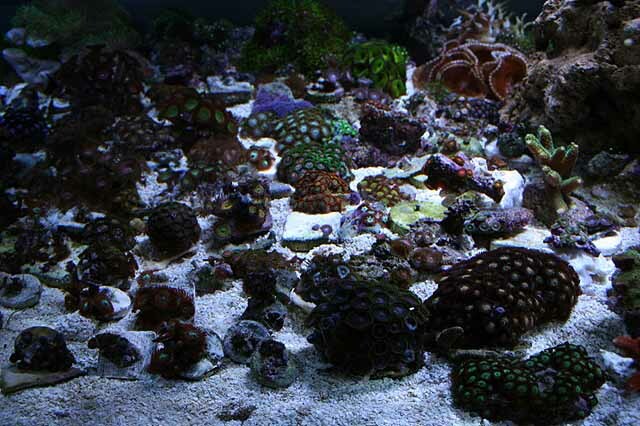 The system sports around forty fish and hundreds of corals. 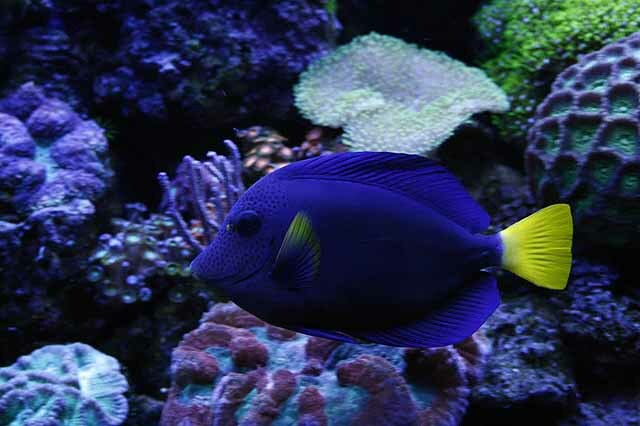 I feed the tank 2 ounces of frozen foods per day plus various coral foods, seaweed Nori, and some flake food. The organic carbon dosing has made it possible to keep PO4 and NO3 lower than before. My readings are typically PO4 <0.05ppm and NO3 <0.5ppm. I have a variety of metal halide lights ranging from 175 watt to 250 watt and supplement with VHO actinic bulbs. 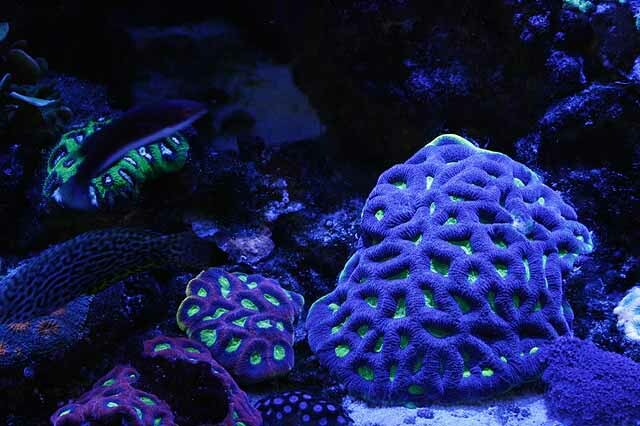 I've tried other lighting combinations, but personally I like the fluorescent color response of my captive corals to the VHO actinics and 14k metal halide bulbs. 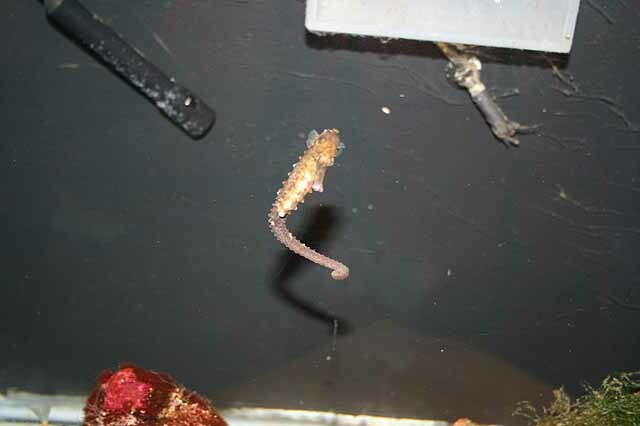 The aquariums have many Maxi-jets and Koralia power heads. I also run an Iwaki MD-100RLT pump, 2x Mag-Drive 9.5 pumps, 2x Two Little Fishies PhosBan reactors, a BRS reactor, and a Fluval 304 canister filter. I use various monitors and controllers: Milwaukee ph controller, American Marine Pinpoint pH monitor, Milwaukee ORP controller, American Marine Pinpoint Salinity monitor, Ronco Temperature Controller, and a Hanna 713 Colorimeter running from several GFCI wired outlets. In addition I utilize a DIY carbon dioxide scrubber using soda lime media that is attached to the air intake of each skimmer. 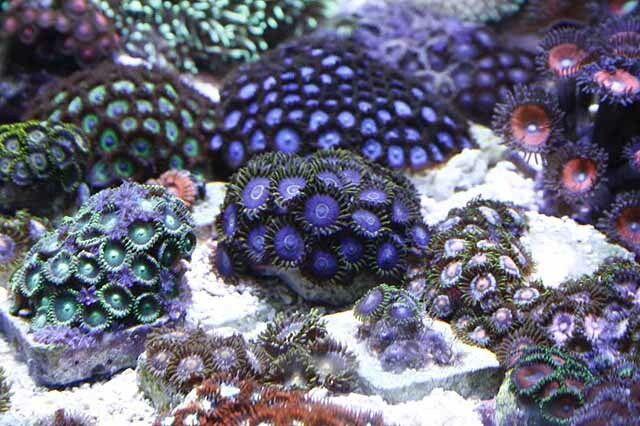 This helps to bump up the pH in the aquariums by an amazing 1.5 points. 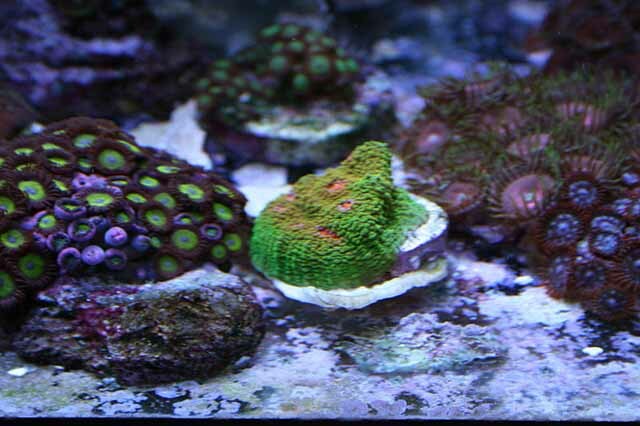 My aquariums have a turnover rate on water of about five times per hour in each tank. 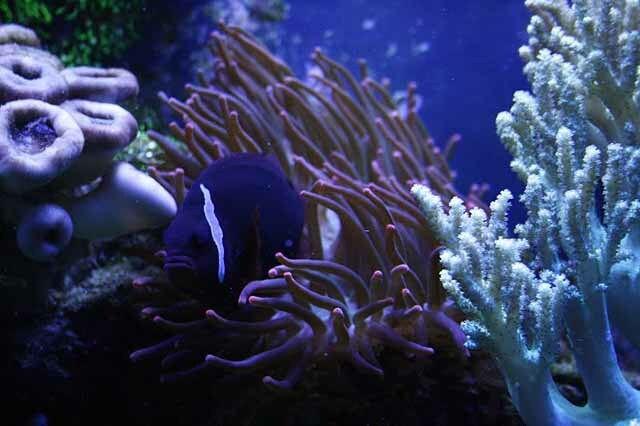 I manage additional flow in each aquarium via multiple Maxi-jet and Hydor Koralia power heads. Both are on timers and can be further adjusted with controllers. 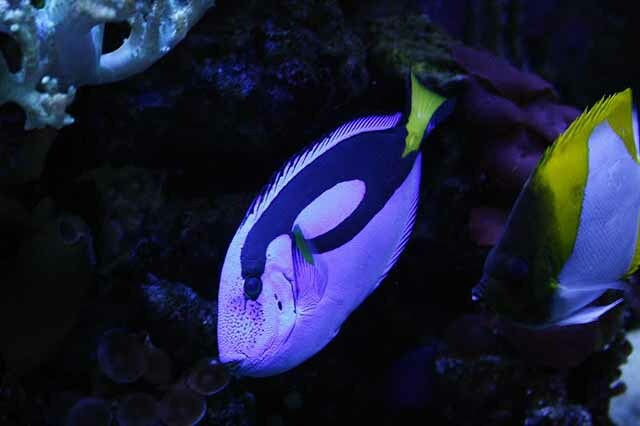 I can adjust from 90x water volume per hour to less than 10 depending on the needs of the specimens in the tank. The specific gravity is 1.0265. I also keep the alkalinity at 9.6dKh, calcium near 500ppm, and magnesium around 1400ppm. The temperature ranges from 77o to 81oF. The range for the pH is between 8.1 to 8.28 depending on the time of day. 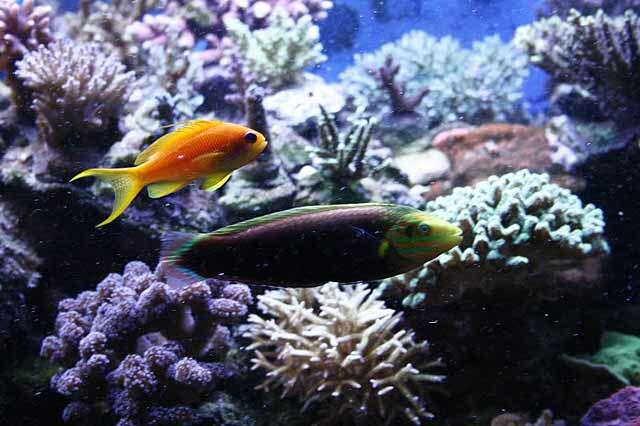 My aquariums’ nutrient readings are as follows; PO4 <0.05ppm per Hanna photometer, NO3 < 0.05ppm per Salifert test kit. The organic carbon levels are unknown, but I believe the granulated filtrating carbon, Purigen media, and large skimmers should handle it. I use Coralife salt mix for water changes because of the relatively high calcium and magnesium content. One percent daily water changes are performed because it is easier for me and there is certainly less chance of shocking the system. I do this even though I know it is a bit less efficient than larger changes (from an article by Randy H. Farley). 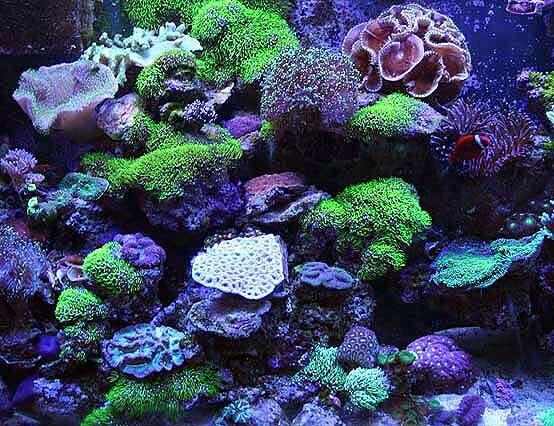 Cleaning and regular maintenance of equipment adds another 10% or so in additional water change per month. I dose organic carbon via 26mL per day of 40 percent vodka, and 80mL of 5 percent distilled vinegar per day. Alkalinity and calcium are replenished with kalkwasser by a 32 US gallon brute garbage can reservoir, and a Spectrapure LiterMeter III peristaltic pump with an internal timer. Occasionally I tweak the alkalinity with baking soda (sodium bicarbonate). I don't dose trace element supplements because my water changes keep minerals like potassium and iodine in good shape. 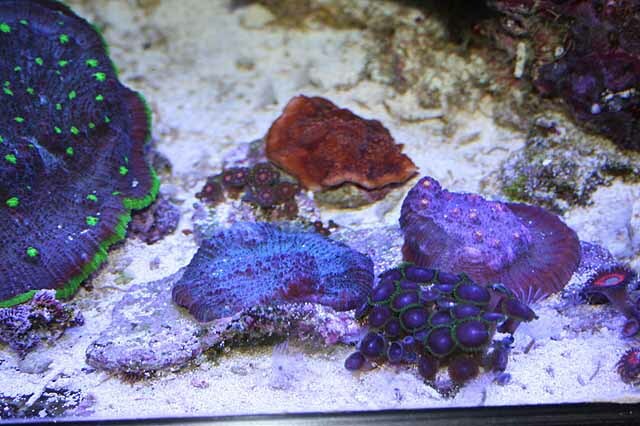 Family and friends are fascinated by my reef system. My two-year old grandson loves to come and see it. 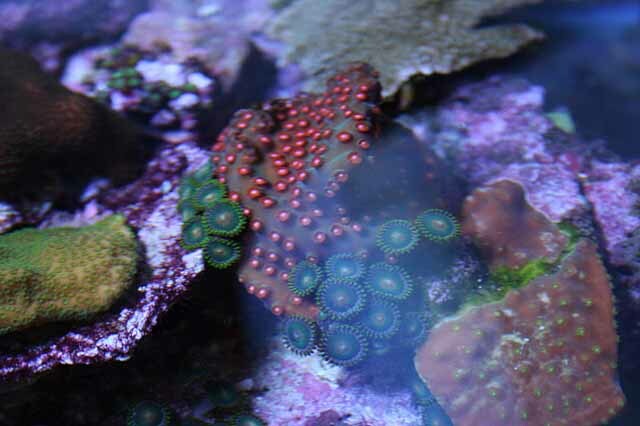 We have 'reef crawls' in the Upstate Reef Society, where we visit each other and view aquariums. Folks always give me great feedback. 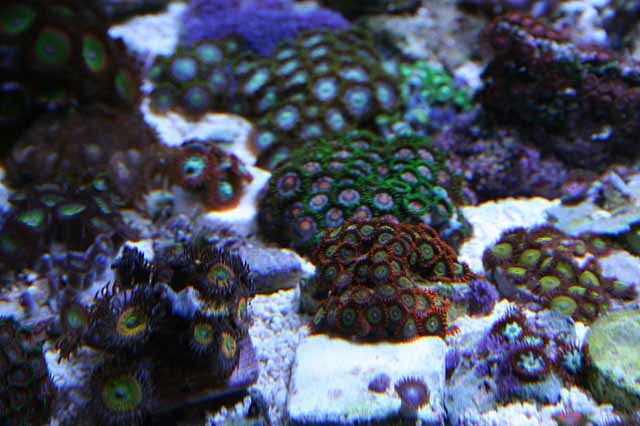 Many visit from time to time to see the system and trade a frag or two. It has become part of my identity. Most rewarding have been the visits by groups of developmentally disabled individuals from local group homes that truly enjoy watching the animals. I believe that this experience has been time well spent. I have been actively doing something I like and have learned many concepts along the way. It is a problem when we want to travel though because I am uneasy leaving my system to someone else's care. 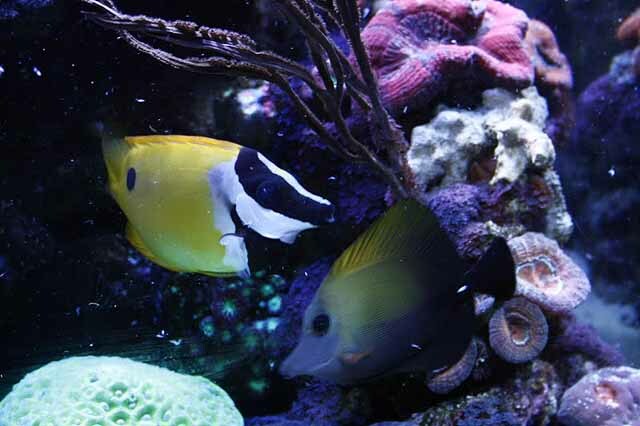 However, I have my son and my son-in-law reasonably well trained that are able to get any quickly needed advice from the reefing community. This setup supports a food web teaming with pods, serpent stars, larvae, and other things which many other low nutrient systems do not support. 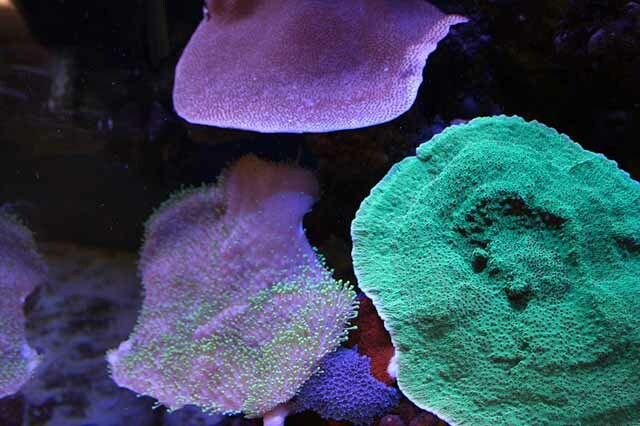 Even so, it is virtually free of nuisance algae and cyanobacteria. I feed the animals twice per day, one shortly after the lights come on and the other just before they go out. I feed a mix of frozen mysis, brine, mosquito larvae (bloodworms) and Cyclop-eeze (thawed and rinsed). It is sprayed into the tanks with a turkey baster and the high flow blows the food all over. 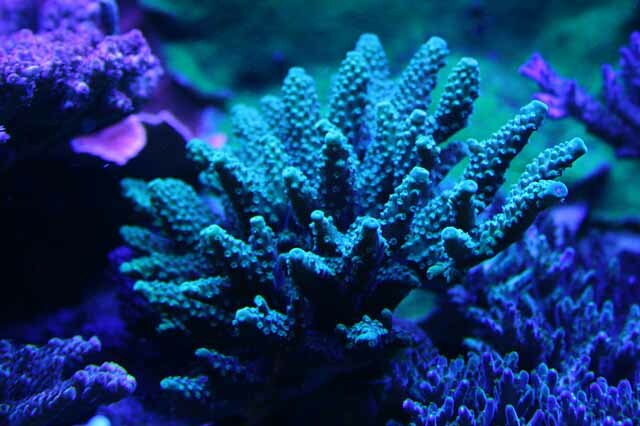 A small amount of Prime Reef flakes, Spirulina flakes, frozen krill chunks for the larger fish, and clips of nori are also added in the morning. Evening feeding consists of frozen mix only. The total amount of frozen food is about two ounces per day. 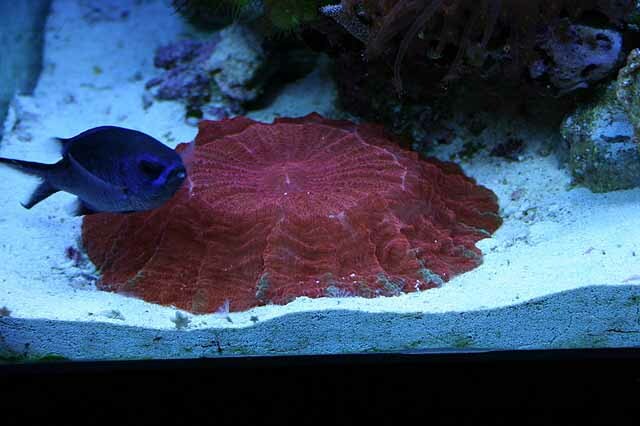 I have fed Coral Frenzy in the past, but have not noticed any change in corals one way or another. As a result I do not bother with it anymore. 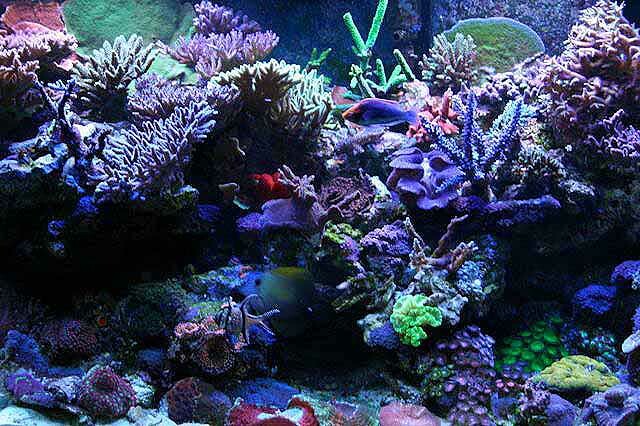 It is a mixed reef containing many non-photosynthetic animals. My system is named "Puddle". It is aptly named to reflect playfulness and its idiosyncratic nature. Like any puddle it's relatively insignificant in the grander scheme of things and not better than any other puddle, but it is unique in shape, size, life, activity, volume, complexity, and the child it attracts to play in it. Some features of my Puddle that are different from the norm are as follows. There are 11 boxes full of water in the Puddle rather than one large aquarium. While the water could be considered the same, the configuration gives opportunities for variations in flow, lighting, substrate, and specie diversity that might not otherwise be possible. I would like to thank all the Reef Central team whom have endured my inquiries and debates over the years and provided the knowledge I needed to improve my husbandry skills. 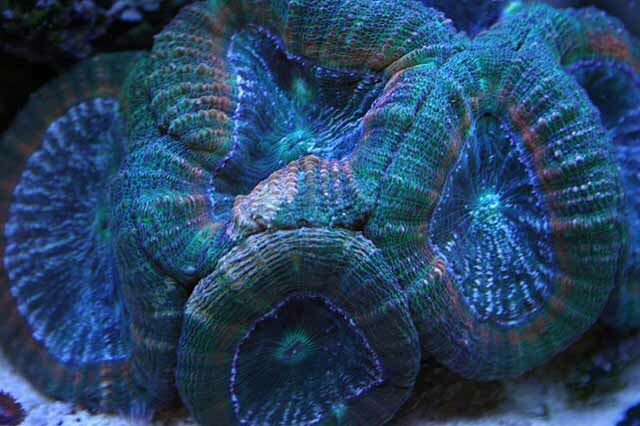 To Randy H. Farley I would like to say without your articles and patient trustworthy responses I would not have been able to learn the key to reef chemistry that I needed. 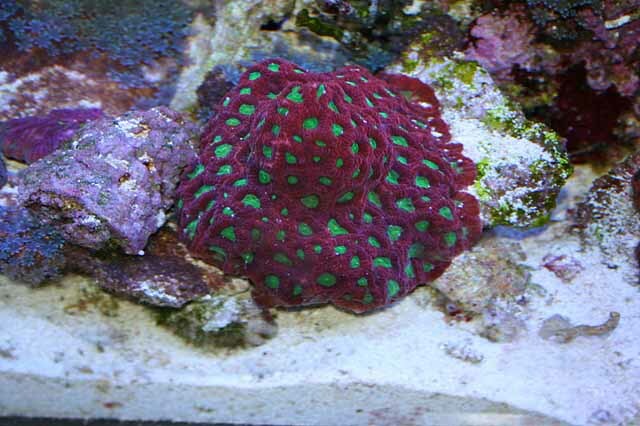 To Boomer, Jon Bertoni, and HighlandReefer, you have also been a great help along with my other friends on the Reef Chemistry forum. Additionally, to Genetics (Nate) for his article on Vodka dosing and help in online discussions which helped me set up a useful dosing regimen for the Puddle, almost 3 years ago. 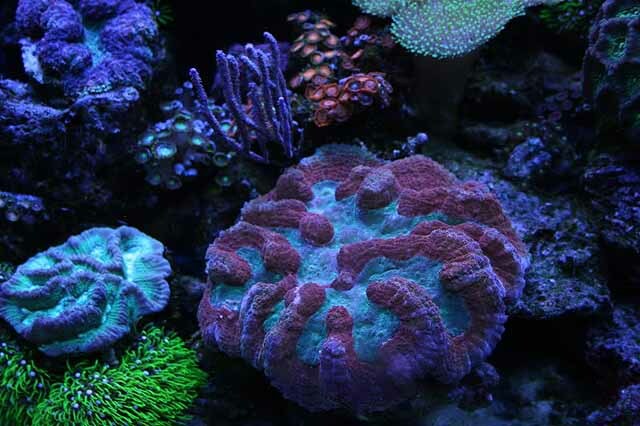 A special thank you to the folks at the local club, The Upstate Reef Society, as they are a great resource for learning, discussing, and trading. To Chris M. (acdraindrps) for taking most of the photos in the article. To Randy O. for lending his camera and the many discussions we have had over the years. 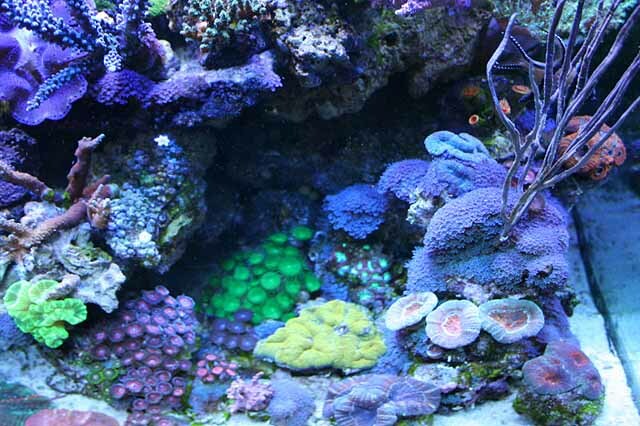 A thanks to all the folks at Salt Water Paradise and A Reef Creation, my favorite reef specialty shops in Buffalo. I've spent countless hours learning from them. Lastly, a special thank you to my wife, Jennifer, for tolerating my obsession with kindness and sharing my enthusiasm for it.